EliteFlex Forte has been specially formulated for cats to support maintenance of joints and cartilage and support recovery from injury. 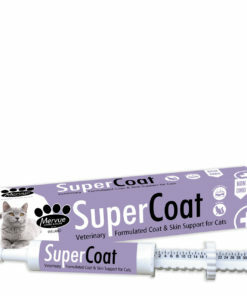 In addition natural ageing slows down the natural renewal process of the older cat. 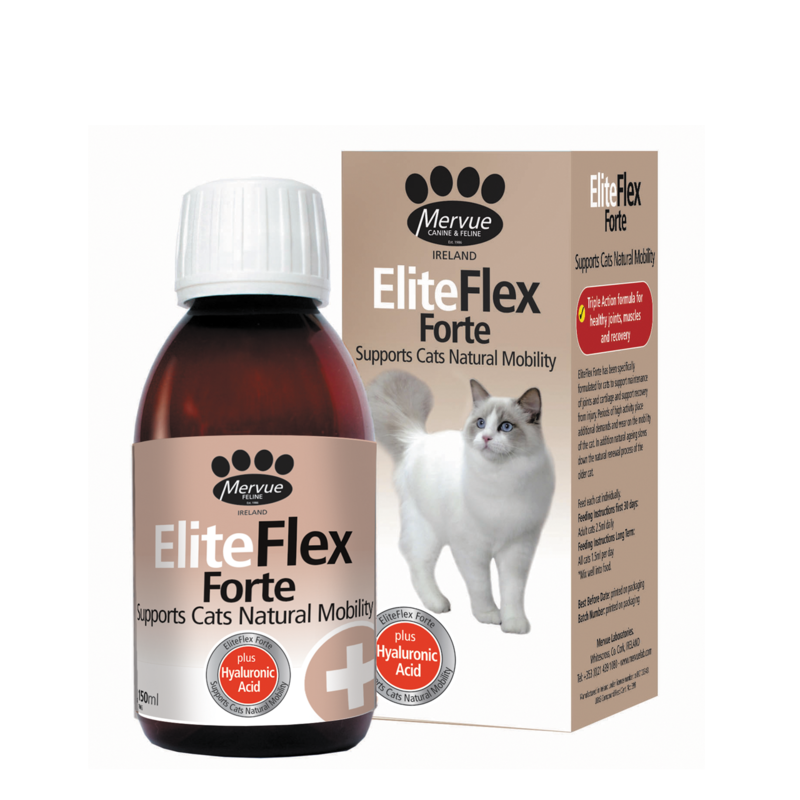 EliteFlex Forte’s unique formula supports the cats natural mobility containing: Branch chain amino acids Valine, Isoleucine, & Leucine. 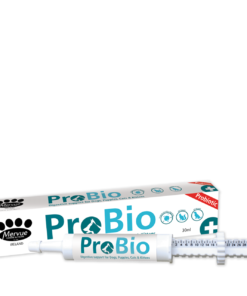 These are an energy source for muscles and the liver, supporting the prevention of oxidative damage to the muscle tissue, improving muscle function and decreasing muscle fatigue. 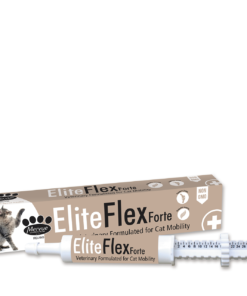 EliteFlex Forte also contains Taurine which cats do not synthesise adequate amounts of, to meet their body needs. 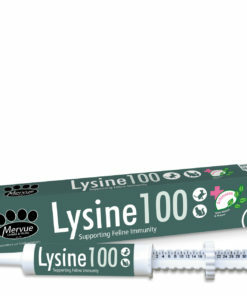 Long Term: all cats 1.5ml daily, feed each cat indvidually. For Best Results mix well in wet food.